Hello! Thanks for checking out my Jazz Guitar Basics article series. This will be the first of a few articles (not too sure yet, 5-6 should probably cover it) about the basics of jazz guitar. I have designed this series to help those who are intrigued by jazz, but don’t know much about it. Maybe you are coming from a rock/blues background but are confused, and don’t know how to get started in jazz. That’s the position I was in several years ago. Ever since I have been playing guitar I have been fascinated by jazz. I loved the music and wanted to play it, but it always seemed so difficult and confusing. But I wanted to learn it so bad! If you are in that same position, pay attention because I have studied jazz for the last few years (on my own) and have finally learned enough about it to pass along some solid information to other beginners who may be struggling. But Theory is Boring ? The first thing that I found confusing was I simply didn’t know what scale or chords to use. Heck, I didn’t even really know any jazz tunes! Kind of hard to play when to don’t know any tunes, right? I’ll come back to that. Anyway, when I wanted to improvise over a rock or pop song, I’d just slide my Minor or Major Pentatonic Scale pattern up or down to the correct key the song was in, and I was golden. With jazz, it’s not quite that simple. I’ll cover more on that in my article on beginning jazz improvisation. Jazz is a canvas, much like the blues, made for creativity and expression. In fact, jazz and blues are very similar. I wrote an entire article about this topic. Check out why blues and jazz rely so much on improvisation if you want to know more. I remember when I first got started learning about jazz. I went to an online forum and asked the regulars there where to start, and I’ll never forget one guy who told me. “Tunes and chords” he said. So that’s what I did. As I mentioned, I didn’t even know any jazz tunes at that point. I had just heard jazz music played in various settings (radio, live, on movies, etc) and wanted to learn it. I’ll come back to the tunes part later, but for this article I want to get you something you can start on right away. I’m going to focus on the chords part of those instructions I got. 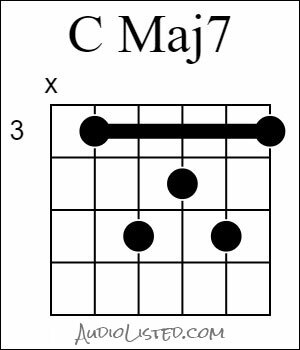 There are 4 chords that I would call the “bread and butter” of jazz guitar chords, and here they are. These four tonalities or “qualities” of chords are used in countless jazz tunes. 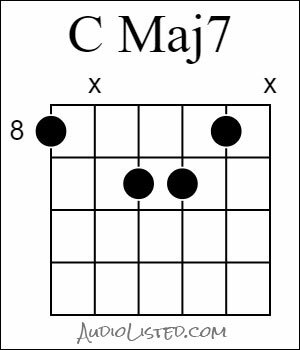 They are also the diatonic 7th chords of a major scale. I’ll get into theory in my next article, but here’s what you’ll notice about jazz chords. They are complex. 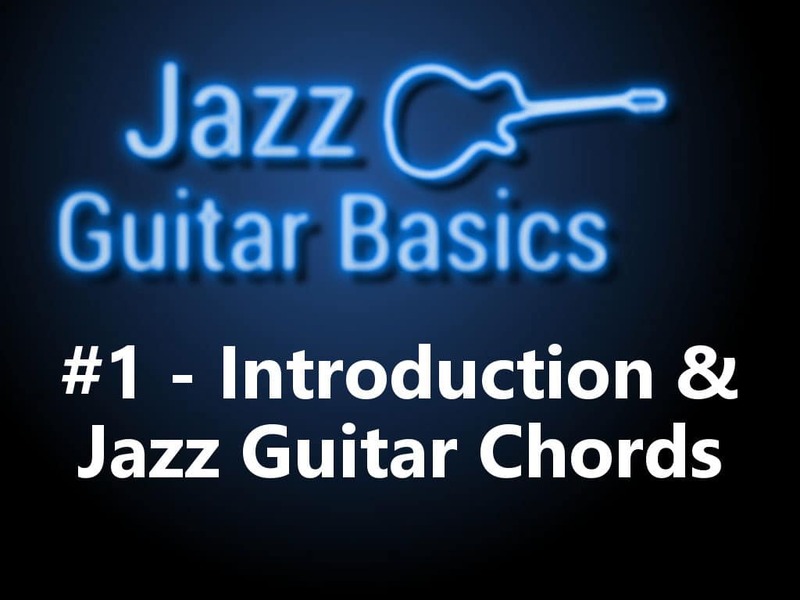 Jazz uses 7th chords, 9th chords, 11th chords, 13th chords, altered chords, and more. Triads are used as well, but those are more common in rock, as you may already know. 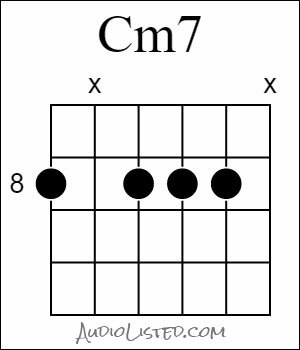 For now, let’s stick with 7th chords, as these are the most common and appear on many “lead sheets,” another name for sheet music that outlines the chords and main melody of the song. You’ll want to pick up this book at Amazon for that. That is an affiliate link for full disclosure. 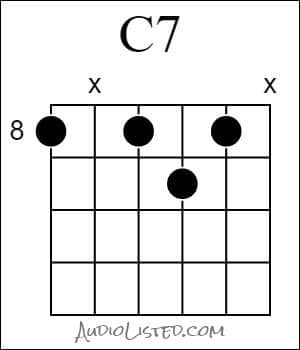 If you can play the 8 chord shapes below, you’ll be able to play almost any jazz tune. Now learn them! 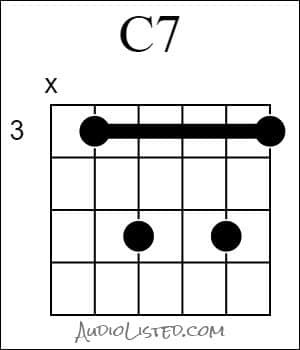 The reason there are 8 shapes is because there are 4 chords, but each can be played with a root on the 6th string and the 5th string. I’ve divided them each up according to the root not string. 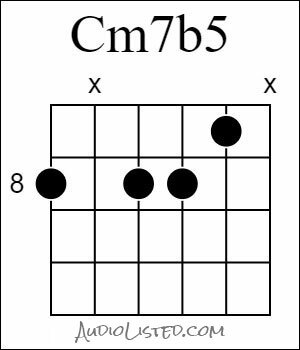 For the sake of simplicity I’m going to show you all C chords, but these are movable shapes and can be played with any root note. Once again, these are all C chords with all 4 different tonalities. In case you didn’t already know the notes on the neck, here are the notes (not including sharps and flats) for the 5th and 6th strings on the guitar. 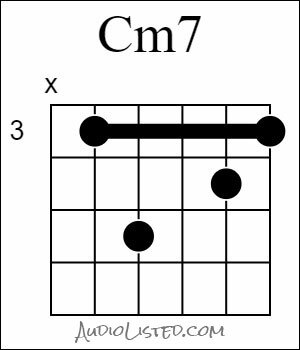 Slide those shapes up and down to play any of those 4 chords anywhere from frets 0-12 or higher! For instance, you were shown all C chords. 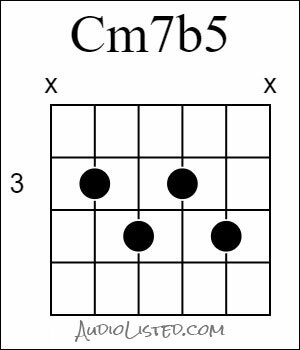 To play a D Minor 7 chords, you’d just slide the minor shape on the 3rd fret up to the 5th fret. Super easy. Congratulations! You now know the 8 most common chord shapes any jazz guitarist should know! To wrap up, try playing this chord progression. Play those chords in that order, and see if it doesn’t sound jazzy. This is a 2-5-1 progression, the most common in jazz. It could also be written ii-V7-I. I hope you’ll stay with me and click through to my next lesson where I explain the theory behind why we need to know the chords we know. Yeah, you may think that, but if you really want to know how to play jazz, you simply need to know a little theory, and I’ll try to make it as painless as possible. Click the button below to go to the next lesson. Hope to see you there!